My recipe and novel are featured on Food in Fiction, a month-long celebration on Terri Giuliano Long’s blog. Drop by and visit – I’m the second entry of the day. Before leaving, scroll down and enter the Rafflecopter giveaway. You could win a $25 Amazon gift card. 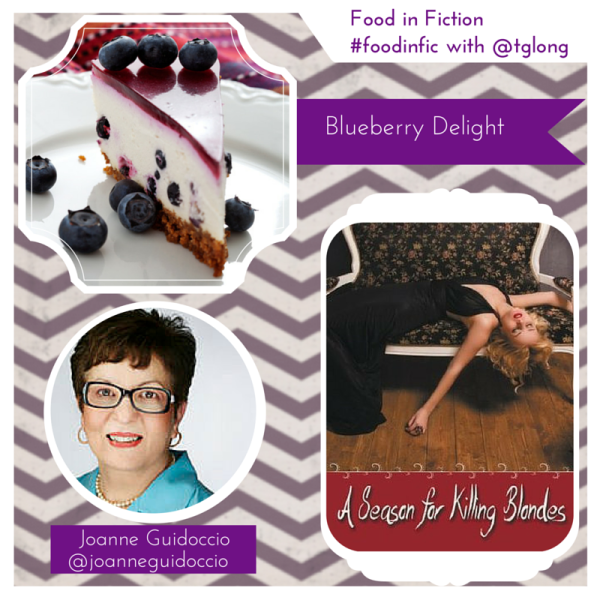 This entry was posted in A Season for Killing Blondes, Promotion, Recipes and tagged Blueberry Delight, Joanne Guidoccio, Terri Giuliano Long. Bookmark the permalink. I’m the type of person that would eat cheesecake off the floor.